Guess it's time to formerly introduce myself. 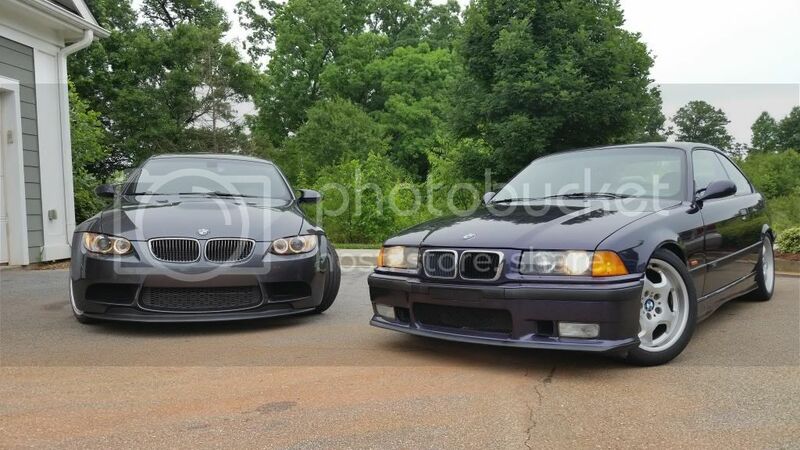 I've been lurking M3forum for years, mostly to check out the E46 subforum. That was one of my favorite cars (still is) for the longest time. A few years after college, I was finally able to afford one, but ended up getting cold feet. I'm comfortable working on cars (doing maintenance and mods), but that car was just too much. So I decided to hold off and do nothing. 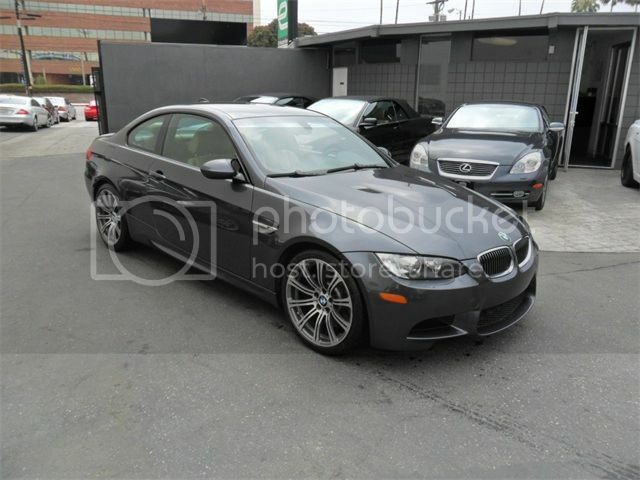 Eventually, the itch came back, and figured to hell with it, and bought a beautiful 2008 E92 M3, Sparkling Graphite/Bamboo Beige/CF roof/6MT. Had to get it shipped all the way from California to South Carolina, but well worth it. Here's what she looked like in the beginning. Long story short, I ended up going to the track with it (CMP) and ended up absolutely loving it. 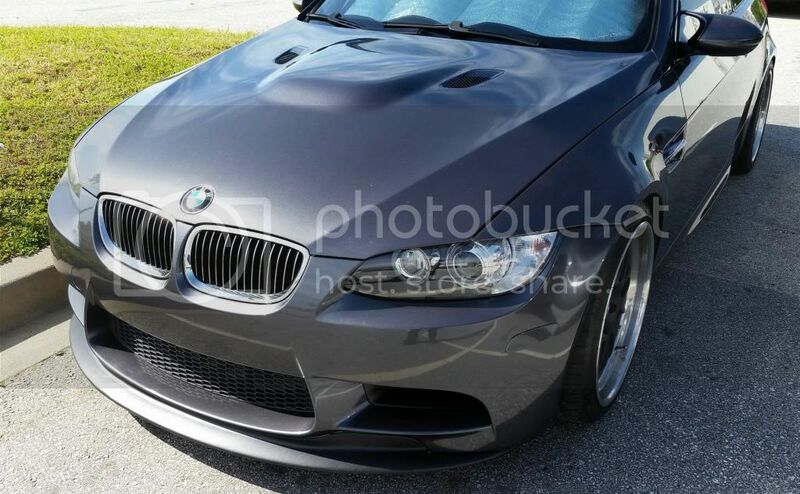 Having said that, I realize that the E92 is just a little too much car for me to begin learning with, not to mention the consumables are very expensive, so I was officially on the hunt for a track car that is still able to use daily. The list was: E36 or E46 M3, S2K, and long shot, a Miata. I had no interest in getting another project car, so maintenance and some mods were welcomed. At the end of the day, it came down to either a clean E36 M3, or a higher mileage E46. As much as I still wanted an E46, I just couldn't justify having 2 maintenance whores in my garage. Plus I wanted something that was cheaper to run, and felt more "raw" as the purists like to say. Not too much for me to do apart from replace a few trims here and there. The shifter is a little sloppy so I'll look into that. Definitely going to change all fluids, and have ZHP knob already on order. But all in all, the car is in great shape. Really tempted to keep the mod bug at bay, but I also really want to pick up a set of LTW's that my coworker has. Anyway, sorry if this was a long post. Just glad to be part of the family. I now know why people love these E36's so much, what an absolute blast to drive. Welcome! Nice cars ya got there. Looks great! I looked high and low for a techno. That colour after a fresh polish catches eyes. Some think you're in a girls car, but some love it! 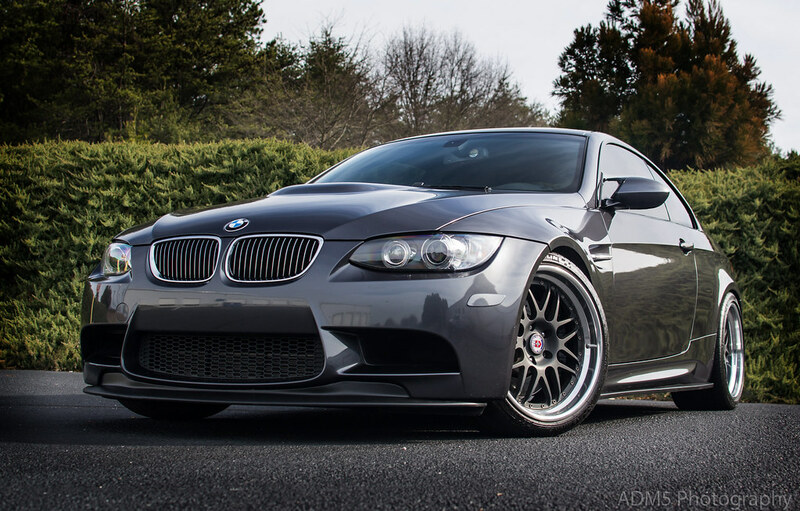 Your e92 looks fantastic as well. Welcome from a fellow newbie. Gorgeous pair of cars you got there. 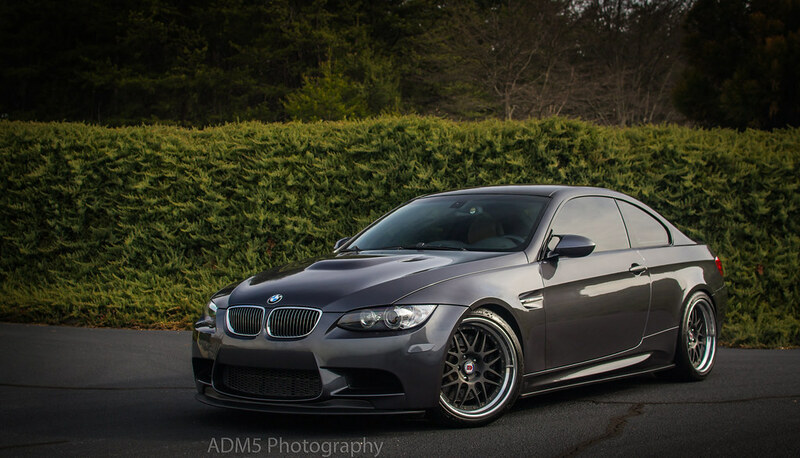 That E92 is perfect. Alright another Techno Violet! Great color choice and welcome! Couldn't agree more regarding the polishing. Just gave mine a comprehensive detail last weekend and I couldn't believe how stunning she looked when I was done. 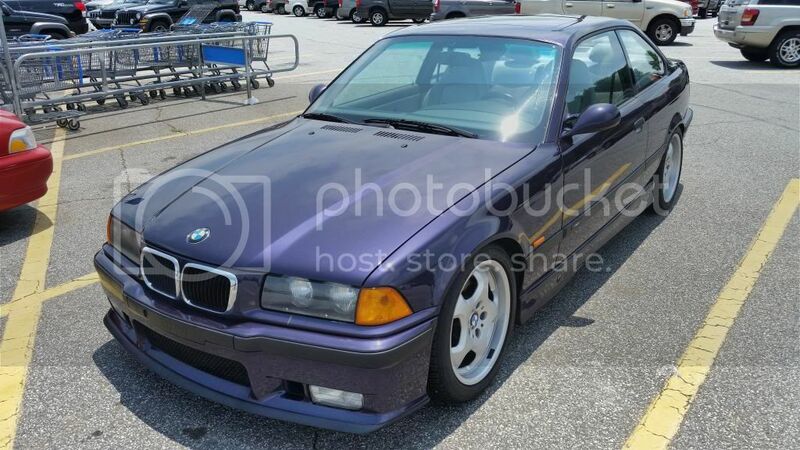 I certainly appreciate all the other M colors, but Daytona and Techno Violet captured my attention last year and I've been addicted ever since. Thank you! The crazy thing is in those cellphone pics, the car is pretty dirty. It's been sitting outside for a while now, so I definitely plan on doing full detail soon. I cannot wait. Got very lucky! I'm also a huge fan of Estoril. awesome add-on to the best M motor ever (S65)! Both cars look great! 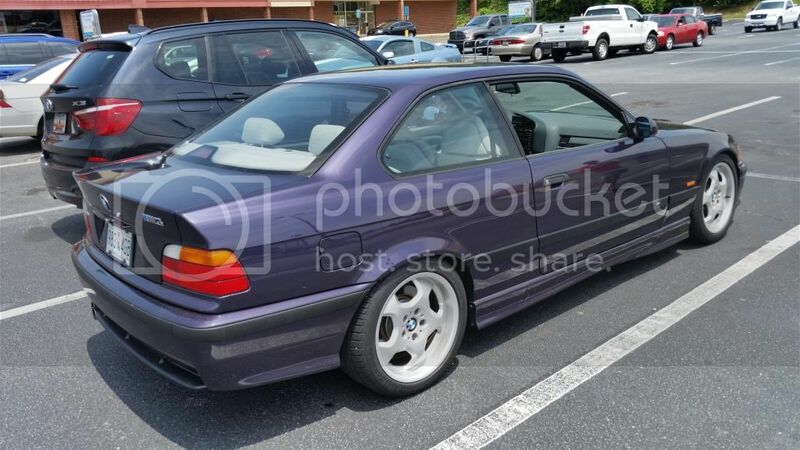 Congrats on the e36! Nice addition to the family! Techno is cool with a black interior, but I couldn't drive one with dove. It's just such a common interior color that I know it would be hard to pass up a clean car on color combo alone, I've been there. My first m3/4/5 was Alpine on dove. I almost got a Daytona on m-cloth, but it was a 95 and coupe and I pretty dead set on sedan for life. Take good care of the dove or it will not age gracefully..! Find More Posts by matty. I agree, Dove doesn't age well at all. The rear seats are mint though, front seats aren't terrible, but the sides are a little worn. No holes or tears though thankfully. I was pretty picky about a few things, but interior just wasn't one of them. Exterior color, 5MT, low-ish miles, all maintenance done, suspension mods were my priority. And as close to SC as possible. Besides, I can foresee some bucket seats going in at a later time. Btw, headliner and all the interior pillars look perfect. Absolutely no sag. All times are GMT. The time now is 04:13:42 AM.